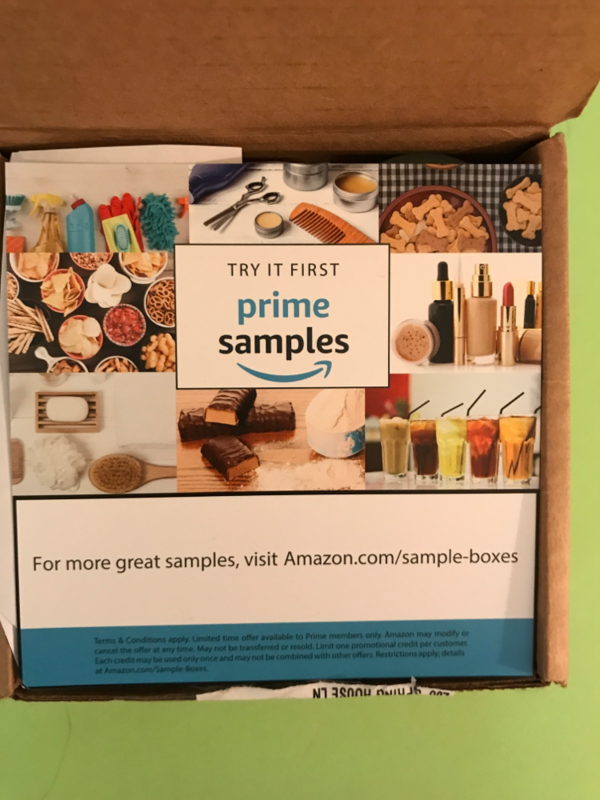 Amazon has Sample boxes for Prime members and you get the amount you spent back in credit. 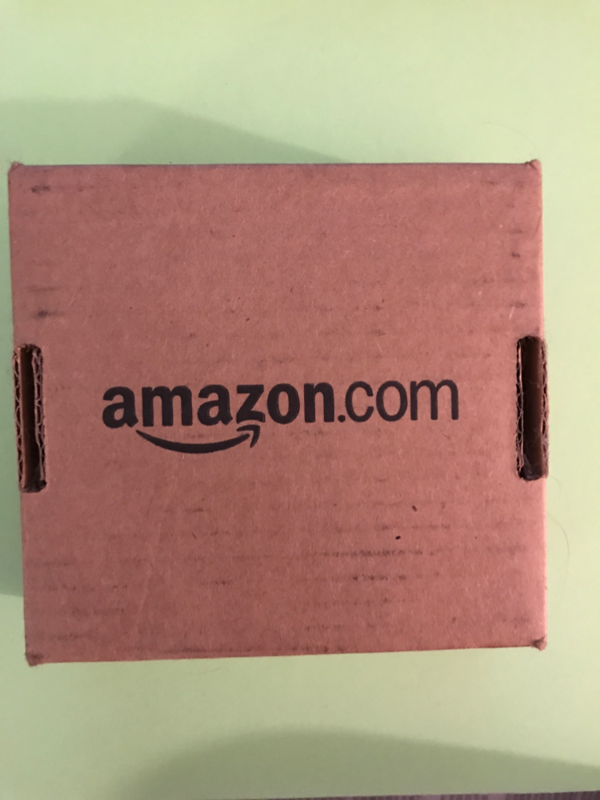 They'll email your credit, but if you lose it, like me, then go to this address and everything's right there for you. Now onto the products. 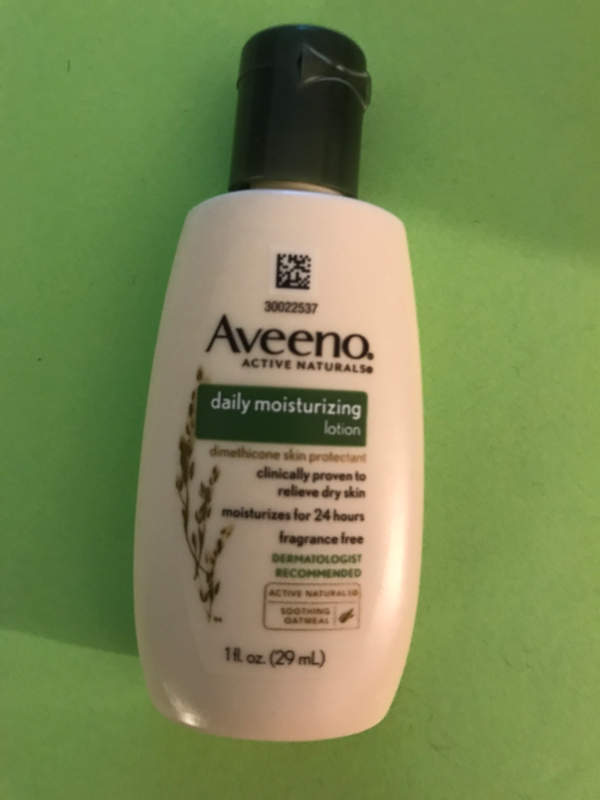 Aveeno Daily Moisturizing Lotion For Dry Skin. 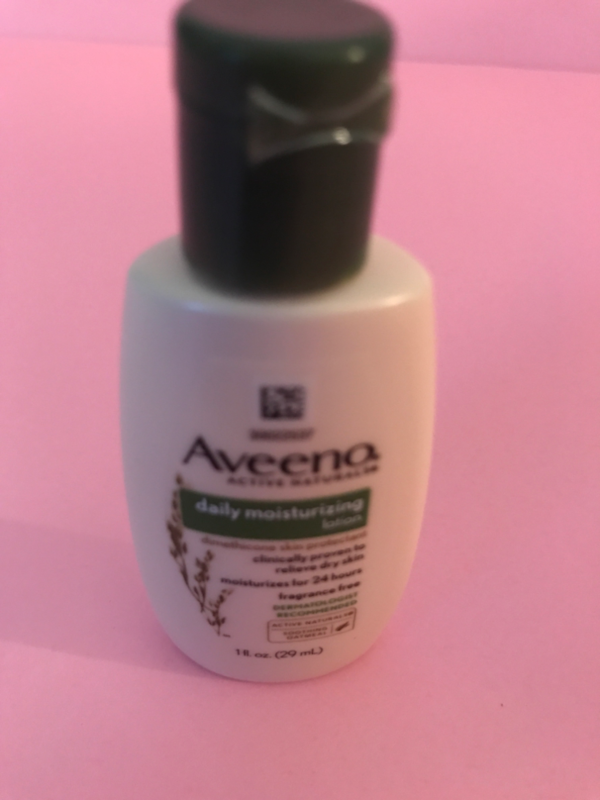 This lotion is amazing!! 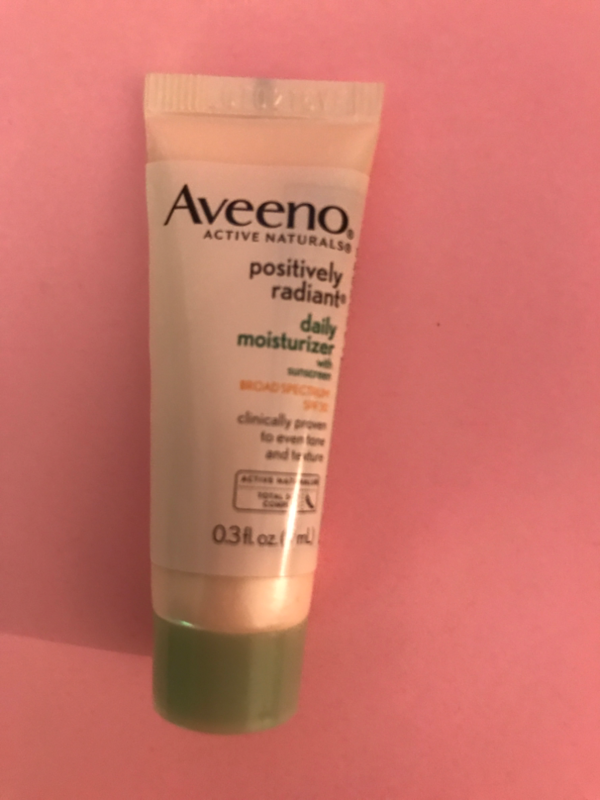 It says that it's supposed to last 24 hours and for me it lasted 13 hours before I went to bed and that was with washing my hands. I didn't need to reapply or usesomething else. I highly recommend this. 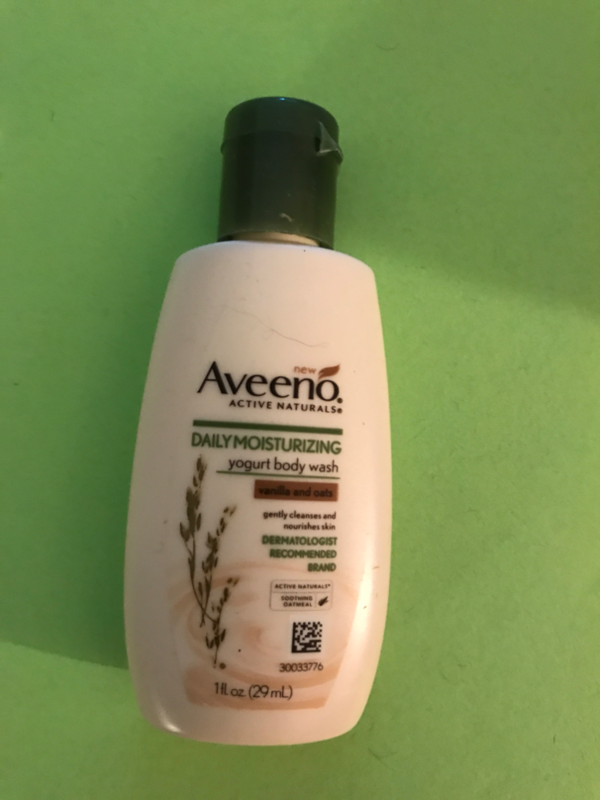 Aveeno Active Naturals Daily Moisturizing Body Yogurt Body Wash, Vanilla And Oats. This smelled so incredibly good that I just wanted to keep smelling it. 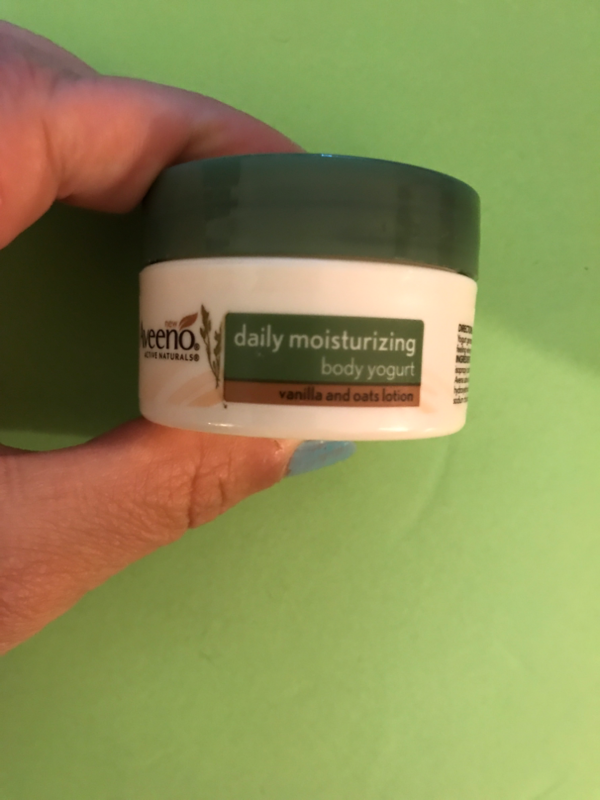 It really suds up and moisturizers your skin really well. You could probably get 3-4 uses out of this. 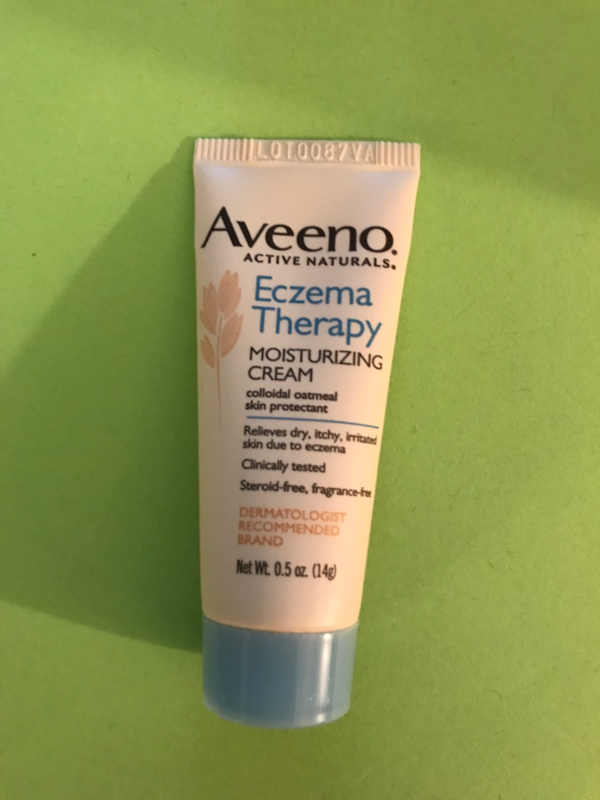 I don't have eczema so I didn't try this out, however it's supposed to relieve dry, itchy, irritated skin due to eczema. 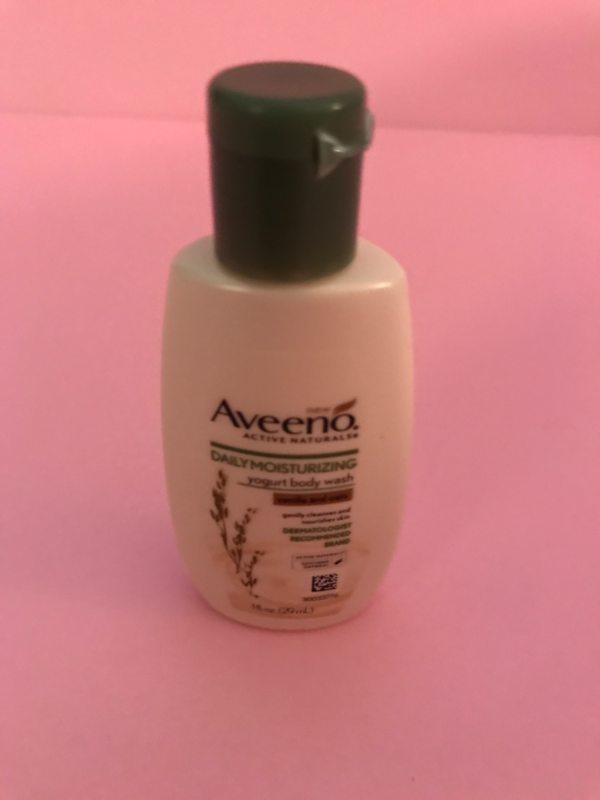 It also has colloidal oatmeal skin protectant. 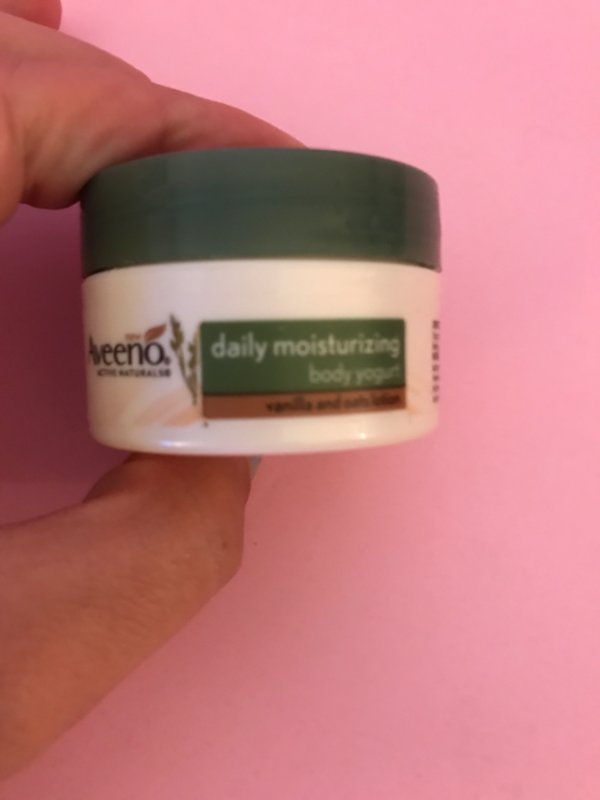 Aveeno Active Naturals Daily Moisturizing Body Yogurt Moisturizer, Vanilla and Oats. 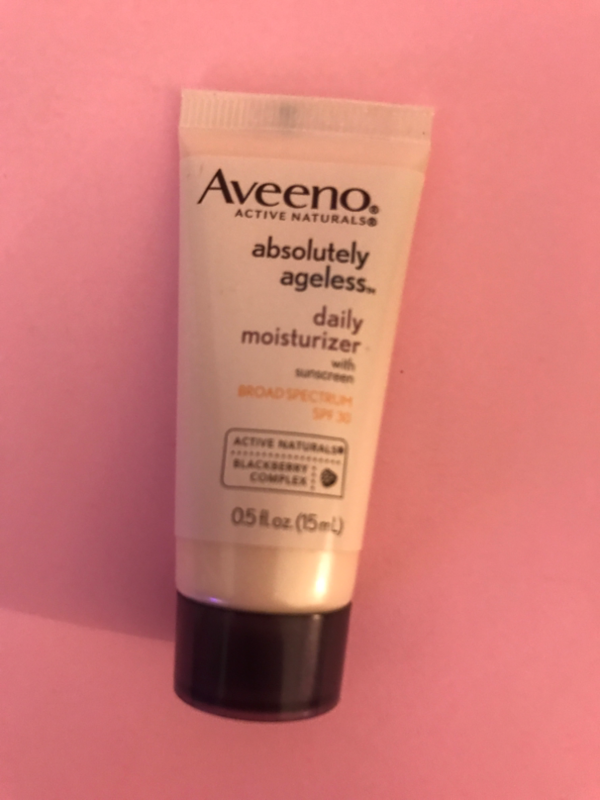 I used this after I got out of the bath and it really does moisturize extremely well. I can still feel how moisturized my skin is. I only got one use out of this with a bit remaining. 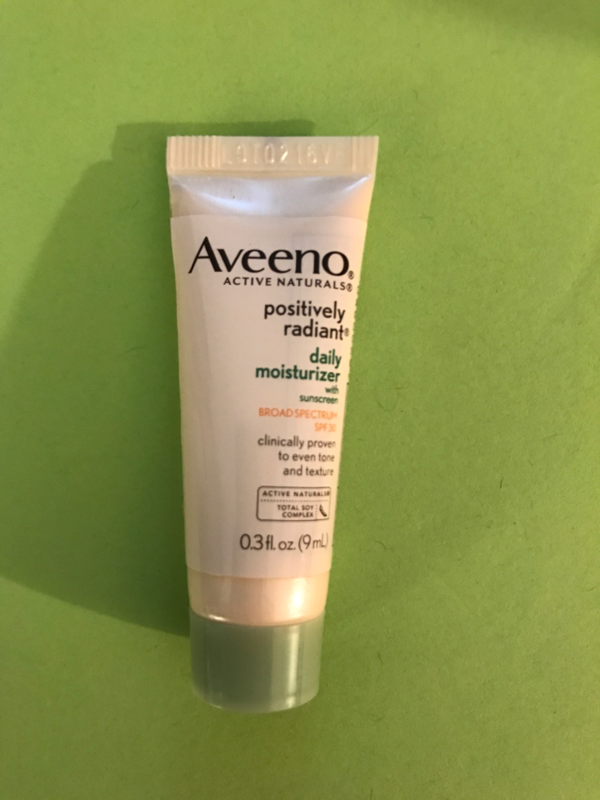 Aveeno Active Naturals Positively Radiant Daily Moisturizer SPF30. Initially I didn't care for this. 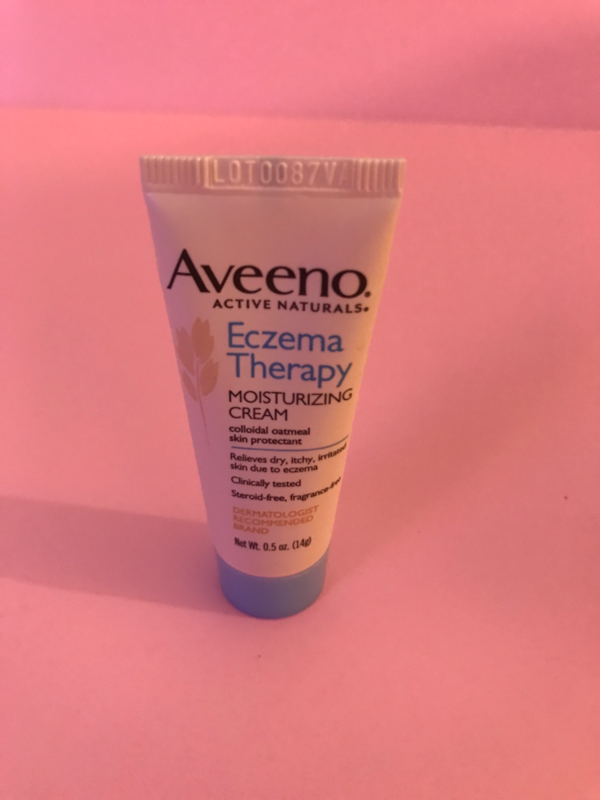 I felt like my skin was greasy, however once it all soaked in my face was so soft. I didn't even need to use a Moisturizer in th evening. 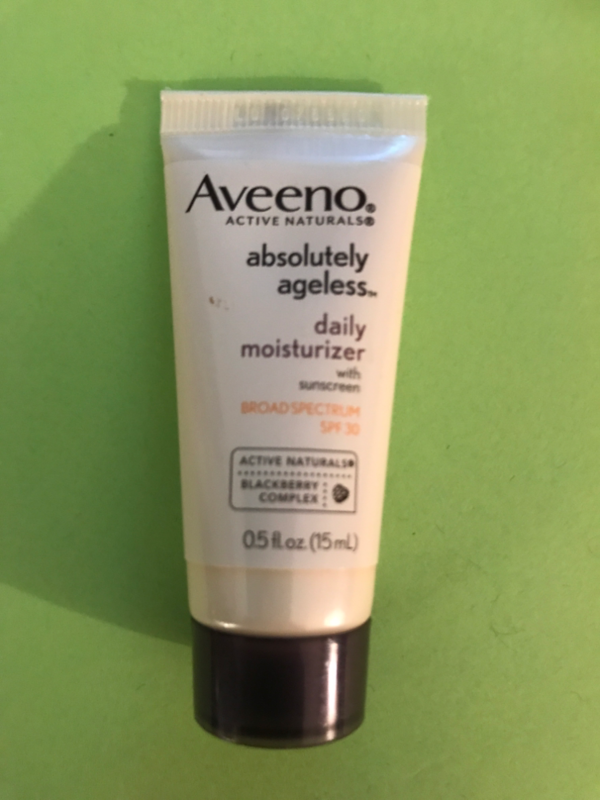 Aveeno Absolutely Ageless Daily Moisturizer With Sunscreen Broad Spectrum SPF 30. I honestly didn't use this. I felt that it's not a fit for my skin. I know that a lot of people really like this. It's made with Blackberry Complex. 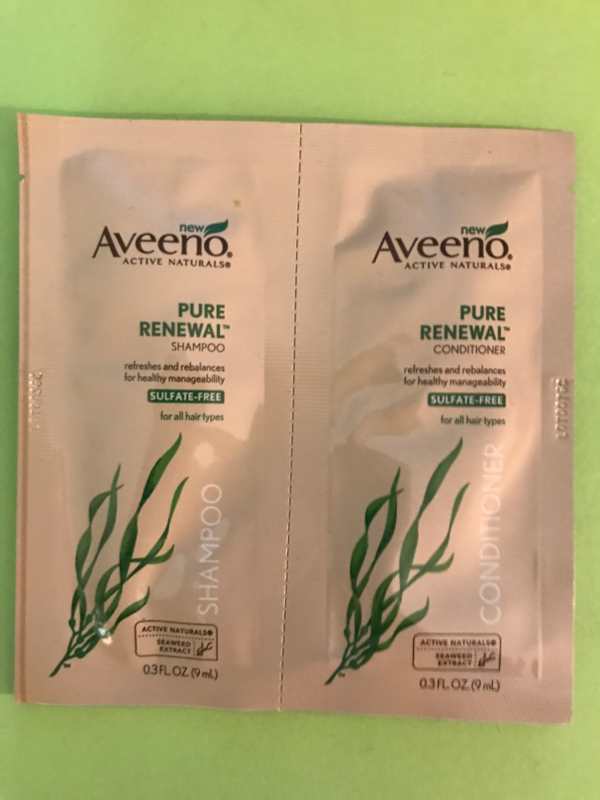 Aveeno Active Naturals Pure Renewal Shampoo And Conditioner Set. 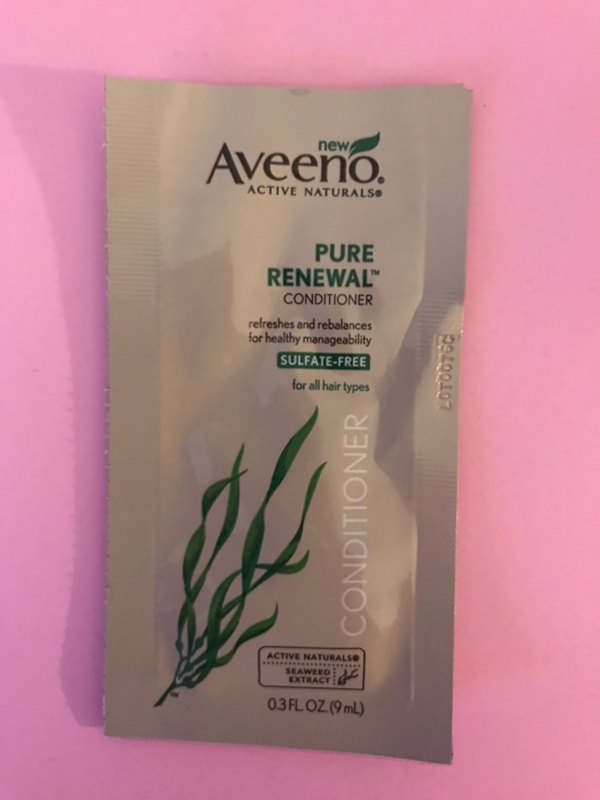 When I opened this I was nervous that it wouldn't be enough for my long hair, but it was. It had a nice lather to it and really cleansed my hair. The only issue was I found that it took a bit longer to rinse out. With the Conditioner I'll be able to get at least three uses out of it. I don't use a lot. I was extremely pleased with the shampoo and conditioner set. I felt it gave me volume, which is what I need. I would definitely consider switching to this. Overall Verdict. 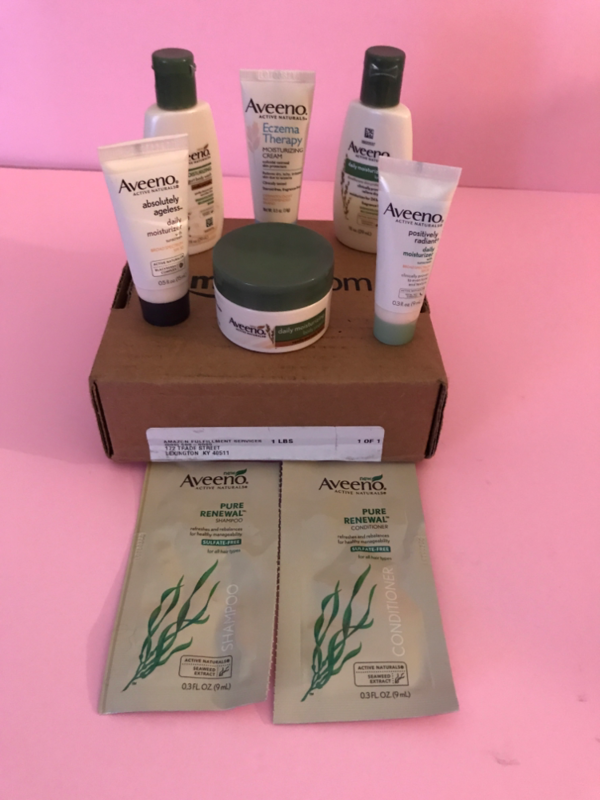 This box came out to be $12.01 and you only pay $7.99 that you get back, so technically you receive $12.01 worth of products for free. 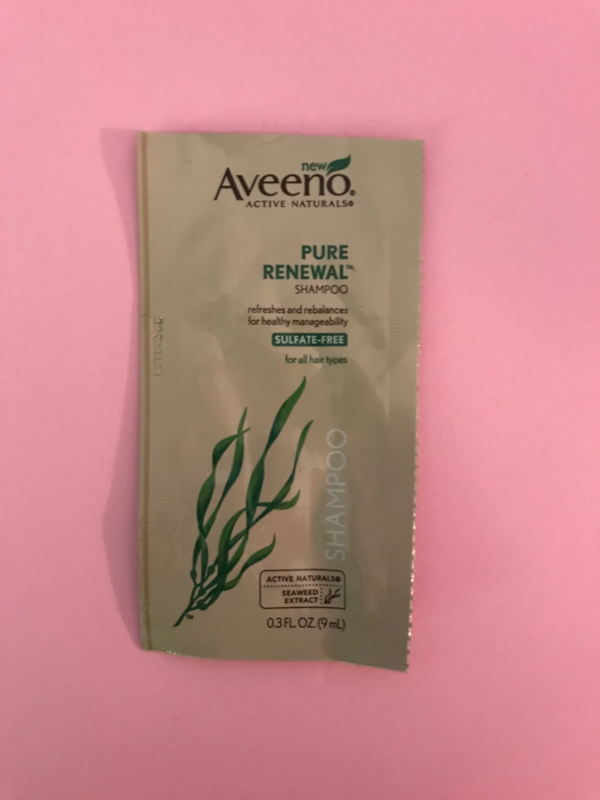 I was unsure initially about the Aveeno brand, but after trying it, I'm extremely pleased.